For more information on this series, visit www.HeroinesBehindtheLines.com. 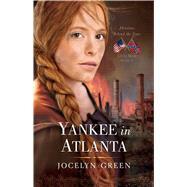 JOCELYN GREEN is an award-winning author, freelance writer and editor. A former military wife, she authored, along with contributing writers, Faith Deployed: Daily Encouragement for Military Wives (Moody 2008) and Faith Deployed . . . Again: More Daily Encouragement for Military Wives (Moody 2011). Jocelyn is also co-author for Battlefields & Blessings: Stories of Faith and Courage from the War in Iraq & Afghanistan (AMG Publishers 2009), which won the Gold Medal from Military Writers Society of America in 2010. She maintains her own award-winning Web site for military wives at www.faithdeployed.com. She holds a B.A. in English from Taylor University, and is an active member of the Evangelical Press Association, the Advanced Writers and Speakers Association and the Christian Authors Network. She and her husband have two children and reside in Cedar Falls, Iowa.